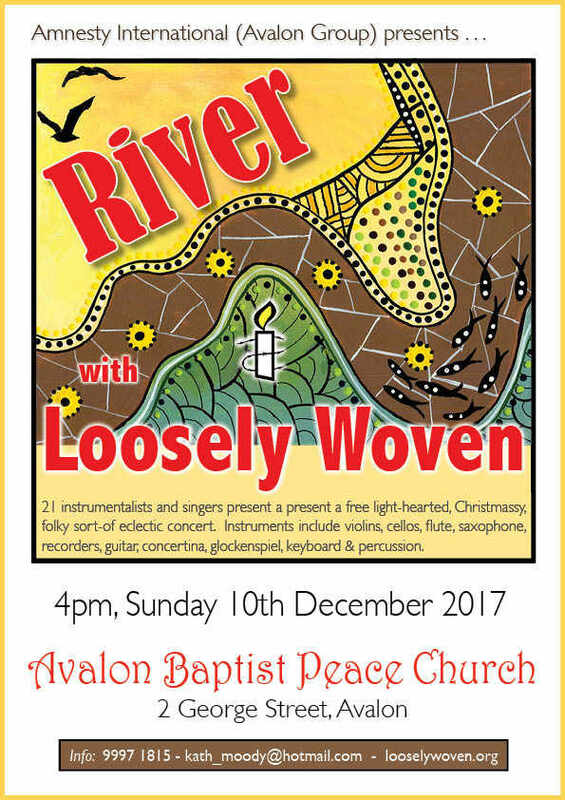 FREE CHRISTMAS CONCERT in AVALON – SUNDAY 10th Dec. 4 p.m.
Wayne Richmond, the leader of the group, is one of the Peninsula’s inspirational leaders in giving live music to the community . 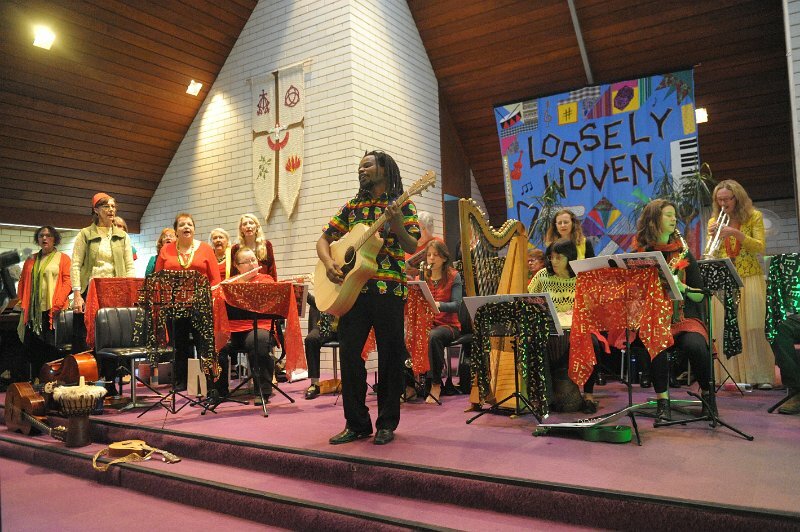 The group will include 21 instrumentalists and singers. Wayne and his musicians have been contributing to Amnesty’s great work for more than 20 years and helping those who suffer injustice ,unfair imprisonment , torture, execution and other human rights abuse. At the last concert held in August Wayne received an award from Amnesty International for his wonderful work! Instruments this time include violin, viola, cello, flute, saxophones, recorder, harp, concertina, melodica, glockenspiel, guitars, keyboard and percussion. “Loosely Woven again demonstrated their uncanny ability to encompass the gamut of human experience in a single performance. Leader Wayne Richmond and his talented crew took their audience to many places – some enchanting, some disturbing, some hilarious, some mournful; I felt I’d been given a grand tour of my own heart. What more could you ask of a night out? “* . refugees and asylum seekers; indigenous people, many victims of unjust treatment; those at risk of torture and execution;and to gain human rights for disadvantaged people all over the world. This year have been working hard to change the prison incarceration of children as young as 10 years old. At the concert we will have petitions for the Write for Rights campaign which tries to prevent injustice in many countries.. Date: Sunday 10 DEC. 4p.m.